You can have your website hosted anywhere. But subsequent to building your new website, there are definite advantages to having us host it for you. Paramount among them, when a problem arises, you have only one company with which to deal. Conversely, when your website is built by one company and hosted by another, you effectively become the “go between.” Is your problem a hosting glitch or a programming one? Your concern or someone else’s? Also, as with any other service, there are degrees of quality. Some hosting companies are relatively inexpensive. But the difference is small and you get what you pay for. Customer service can be nonexistent and response time close to zero, as in no response at all. Webstix offers premium website hosting services and also partners with other web hosting companies and services in order to provide a wide variety of hosting services. We do this so that when you hire us to do your site, you don’t have to worry about finding and arranging a web host. We want you to run your business and we’ll take care of your website. What are the Benefits of Hosting with Webstix? Why Choose Webstix To Host Your New Website? Reliability. Your website is hosted at a Rackspace® data center, the #1 managed cloud computing company in the world. Dependability. Rackspace provides redundant power, redundant networks, and state-of-the-art security control to protect your website and keep it up and running. Fast response times. We have an assigned team at Rackspace dedicated to monitoring our client hosting 24/7 and seeing to issues as they might arise. Speed. 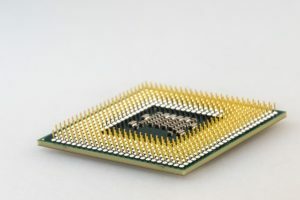 The servers we have are fast, featuring 32 core processors and 128 GB of RAM. Also, we use only solid state drives that are faster, more reliable, and more durable than their mechanical disc-spinning counterparts. Constant backup. Our RAID 10 hard drive configuration keeps a working mirrored backup of all data. We perform full backups weekly and incremental backups nightly, which we house onsite as well as in our offsite Rackspace data center. Webstix has dedicated servers that are specifically set up to work well with the CMS you are using. Our servers are turned for both WordPress and Magento but they can host other kinds of websites as well. We are using the very best dedicated web server host in the nation, a company called Rackspace, which offers the best support and uptime available. Our dedicated servers are completely controlled by Webstix but we also rely on the on-site expertise and assistance by Rackspace staff as needed. Unlike the average run of the mill hosting company, that would put hundreds or maybe thousands of websites on each web server, Webstix knows all the websites being hosted and we do not allow just anyone off the street to set up a website on our servers. This exclusivity benefits and protects all of our hosting clients. Because of this, we do require that all websites being hosted on our servers be up to date with their software versions and patches. Webstix security arrangements include a sophisticated private firewall and, as a result, we have experienced relatively very few compromises. We work hard to keep your website running and, needless to say, more happens behind the scenes than you probably know. Upgrades to the operating system on the web server and supporting software located on the web server happens weekly. 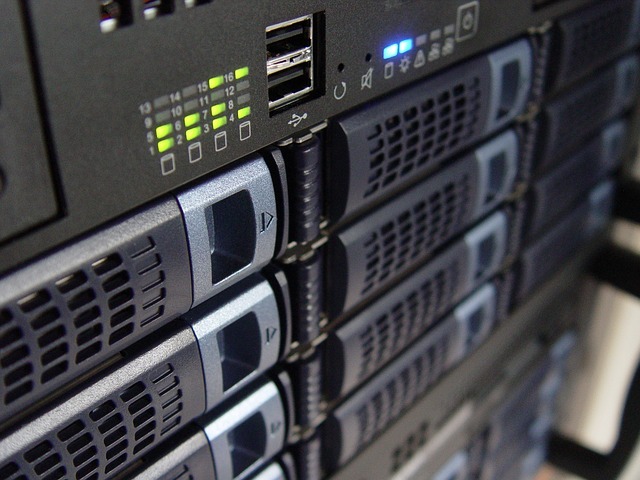 Your website is backed up every night and each server is equipped with redundant hard drives (RAID). Thus, if one hard drive crashes other hard drives continue to work and there is no downtime. People and companies on other hosts may tell you that their website is continuously down and it is because they are using cheap hosting that is shared with all kinds of people where one bad apple can spoil the bunch. We consider Webstix hosting to be for mission critical websites and for companies that do not want the headaches that come with cheap hosting. This is not to say there will never be a problem but we definitely have the record showing very few problems and that is on purpose. Another benefit of having Webstix host your website is our ability to monitor and watch over your website. Not only do we make sure the server is running, we keep track of plugins and modules that your website utilizes and when servers are upgraded with new software, we are able to communicate with you quickly with regard to what kind of upgrades and updates might be needed. Likewise, if a module is upgraded we know about it and can advise you of your options. Very few, if any, web hosts provides this service and the lack of this kind of important oversight is often the main reason for websites being hacked or compromised. If this service was not provided by Webstix you would essentially be on your own and since very few organizations have the in-house expertise to do this kind of monitoring, it is one of the main benefits of hosting with Webstix. With Webstix website hosting, you also get the experience of our firewall. That means we’ve gone through and blocked a group of known IP addresses and types of traffic that should not be coming in to your website. We flat out block that traffic so they don’t even have a chance of getting to your website. Since our hosting is more like boutique website hosting, we’re going to keep a better eye on the smaller amount of servers we have – versus larger companies who have hundreds, if not thousands of servers to manage. Another valuable benefit is simply the relationship we have with our hosting clients. We can always be reached on the telephone or via email and we are available to answer questions and to provide information to the best of our knowledge. These questions are not always related to web hosting or web servers. We receive hundreds of questions from our clients each year with the subject ranging from how to analyze web site statistics, Search Engine Optimization (SEO), CMS functionality and online marketing. Of course, although there are instances where a question involves a lengthy investment in our time and resources, we generally do not charge for speaking with you on the phone or answering a question. We enjoy this interaction and we appreciate the fact that we are your trusted partner with regard to most things related to the web and the Internet. We think that is how it is supposed to be. Finally, when Webstix hosts your website you will never be in a position of being in between the provider of the software and the hardware (i.e. the web server). When there is a problem – and from time to time, there will be – Webstix is able to work both with your software and the web server. When you host your website with Webstix and when we are the ones who created your website, you will never hear “you need to call your web host about that issue” since we are available to work on both. This can save you a lot of time and prevent headaches. A website is made up of files and usually a database. There are scripts running and images and lots of files that all work together to be a website. Those files need to sit on a computer that is always running and publicly accessible – we call this a web server. Many websites can live on a single server (shared hosting) or there can be one website per server (dedicated hosting) or a hybrid of the two (virtual servers). Website hosting includes the computer doing the hosting (the server), the network connections (usually multiple networks so that there are redundant connections – in case one goes down), redundant power and it’s in a secure location where only certain people have physical access to the server. Data Centers are set up this way and there are rows and rows of servers in racks in a climate controlled (cooled) location. There are even backup air conditioners. The building that the data center is in has redundant power and thick walls to withstand bad weather. All of these items comprise what we refer to as website hosting. Is Our Hosting Not for You? We realize that not all business see the benefits of having premium website hosting and how they can save time and money with reliable hosting. For them, we would suggest signing up with a website host like A2 Hosting where the rates are cheaper. We’ve had several clients use them with success. Just know that you will be solely responsible for your website being up and you will have to do maintenance tasks like upgrades, patches and fixed. This can be time consuming if you don’t know what you’re doing. Most companies we partner with would rather run their business than learn the ins and outs of PHP and databases. What If I Don’t Choose Webstix Hosting? We can (and have, many times) installed websites on other hosts. Sometimes, website installations go smoothly but sometimes, they do not. We can’t possibly predict what may or may not happen simply because it’s not our environment. We don’t typically use proprietary software, so that’s not the issue at all. There are different versions of PHP out there, different versions of MySQL and so on. Also, the Control Panel (cPanel, Plesk, something proprietary, etc.) we get to work with sometimes is a factor and limits us. Again, one that we like is A2 Hosting but it’s your choice. We typically give some time (about an hour) to do an installation on another host. After that, we may have to start charging for our time. We may have to go back and forth with your host. To help us with that, please make sure we have permission to contact your host directly. We definitely need Control Panel access. Feel free to change your passwords later if you want. If we have SSH access, that makes things easier. If we have access to the access_log and error_log files, then that can help us troubleshoot anything that comes up. Make sure you have access to your domain (the username and password for your domain name registrar). If we are doing an installation on a web host that you are providing, then we can do a test installation in a subdirectory – so as not to disturb your existing website. We may require this (which could take extra time) if we feel like there could be potential problems with your host. With brand new websites on new domain names, this most likely would not be required. As Internet technology advances, older websites that were built for earlier technologies begin to slow down and malfunction. Many Internet companies will host your website. But few will keep you apprised of the small, incremental updates recommended by the technology community to keep things running smoothly. We do.